Tarun Ramadorai is Professor of Financial Economics at Imperial College London. He has a broad range of research interests in the areas of household finance, asset pricing, and international finance. He is greatly interested in finance and economics issues in emerging markets, with a particular focus on India. He has published on these topics in a number of scholarly journals in finance and economics including American Economic Review: Insights, the Review of Economic Studies, the Journal of Finance, the Journal of Financial Economics, and the Review of Financial Studies. Tarun is a Research Fellow of CEPR, an Associate Editor of the Review of Financial Studies and Management Science, a Senior Academic Fellow of the Asian Bureau of Finance and Economics Research (ABFER), and a Nonresident Senior Fellow at the National Council of Applied Economic Research (NCAER). He has served in a range of policy roles in addition to his academic work, including Economic Adviser to the European Securities and Markets Authority, Visiting Scholar at the Economic Advisory Council to the Prime Minister of India, and Chairman of the Inter-Regulatory Committee on Household Finance constituted by the Reserve Bank of India. Tarun has a BA in Mathematics and Economics from Williams College, an MPhil in Economics from the University of Cambridge, and a PhD in Business Economics from Harvard University. Prior to his role at Imperial, Tarun spent over a decade at the University of Oxford. 2019, with Antoine Uettwiller, and Ansgar Walther. 2019, with Cristian Badarinza, and Chihiro Shimizu. 2018, with Cristian Badarinza and Vimal Balasubramaniam. 2018, with Steffen Andersen, John Y. Campbell, and Kasper Meisner-Nielsen. Revise and resubmit, American Economic Review. The Outlook for 2019: Key Factors Shaping the Indian Economy. 2019, with Antoine Uettwiller and Ansgar Walther. 2019, with Cristian Badarinza and Chihiro Shimizu. 2018, with Cristian Badarinza and Vimal Balasubramaniam..
Manuscript prepared for Annual Review of Financial Economics. 2018, with Santosh Anagol and Vimal Balasubramaniam. Revise and Resubmit, Journal of Financial Economics. 2018, with Andreas Fuster, Paul Goldsmith-Pinkham, and Ansgar Walther. 2018, with Steffen Andersen, John Y. Campbell, and Kasper Meisner-Nielsen. 2017, with Tania Babina, Pab Jotikasthira, and Chris Lundblad. James A Lebenthal Excellence in Municipal Finance Research Prize. Revise and Resubmit, Review of Financial Studies. 2015, with Francesca Brusa and Adrien Verdelhan. 2018, with John Y. Campbell and Ben Ranish. American Economic Review: Insights, forthcoming. Review of Economic Studies, 85(4), 1971-2004. Journal of Financial Economics, 130, 532-555. 2018, with Cristian Badarinza and John Y. Campbell. 2016, with Cristian Badarinza and John Y. Campbell. Annual Review of Economics, 8, 111-144. 2016, with Pasquale Della Corte and Lucio Sarno. Journal of Financial Economics, 120, 21-40. 2015, with Mathias Kruttli and Andrew Patton. Review of Asset Pricing Studies, 5, 185-226. FMA Napa Conference Best Paper Prize. SFS Finance Cavalcade/Review of Asset Pricing Studies Keynote Paper. 2015, with John Y. Campbell and Benjamin Ranish. American Economic Journal: Economic Policy, 7, 71-102. 2015, with Andrew Patton and Michael Streatfield. Journal of Finance, 70, 963-999. 2015, with Rui Albuquerque and Sumudu Watugala. Journal of Financial Economics, 115, 592-613. 2014, with David Easley and Terry Hendershott. Journal of Financial Markets, 17, 65-93. How do foreign investors impact domestic economic activity? 2013, with Pab Jotikasthira and Chris Lundblad. Journal of International Money and Finance, 39, 89-110. European Financial Management, 19, 852-886. Best Paper prize. Financial Analysts Journal and CFA Institute. 2013, with Viral Acharya and Lars Lochstoer. Journal of Financial Economics, 109, 441-465. Viz Risk Management Best paper prize, European Finance Association. Journal of Finance , 68, 597–635. Journal of Financial Economics, 107, 401-416. 2012, with Pab Jotikasthira and Chris Lundblad. Journal of Finance, 67, 2015-2050. Journal of Finance , 67, 479-512. 2009, with John Y. Campbell and Allie Schwartz. Journal of Financial Economics, 92, 66-91. 2008, with William Fung, David A. Hsieh and Narayan Y. Naik. Journal of Finance , 63, 1777-1803. Finalist for the Smith-Breeden prize. 2008, with Kenneth A. Froot. Review of Financial Studies, 21, 937-972. What determines transactions costs in foreign exchange markets? International Journal of Finance and Economics, 13, 14-25. 2007, with Narayan Y. Naik and Maria Stromqvist. European Financial Management, 13, 239-256. 2005, with Kenneth A. Froot. Journal of Finance, 60(3), 1535-1566. VoxEU invited article, October 2013.
in H. Kent Baker and John Nofsinger (eds. ), "Behavioral Finance: Investors, Corporations, and Markets", Hoboken, NJ: John Wiley & Sons, Inc., October 2010. 2011, with Michael Streatfield. Older Working Paper. 2010, with Andrew Patton. Older Working Paper. Has different results from "On the high-frequency dynamics of hedge fund risk exposures" (see above), including searches across conditioning variables, and performance comparisons with other proposed approaches for modelling the dynamics of hedge fund risk exposures. 2014, with John Y. Campbell and Benjamin Ranish. The report of the Household Finance Committee was released by the Reserve Bank of India on 24 August, 2017. Here are links to the report, the executive summary, and slideshows. Here are links to summaries of online, broadcast, and print coverage of the report in Indian media. Is India Moving to Financial Assets? October 2016. Vox EU, Video. 25 June 2016, Teach it Forward Talk, Williams in London, Video. Why No Corporate Bond Market? 13 April 2015, Invited Lecture at the Bombay Stock Exchange, Video. Should Retail Investors Participate in the Equity Derivatives Market? 14 January 2014, TV: World News Today, BBC 4 (around 19:22 on the clock). Should the benefits mitigate the costs: PSL overhaul due? Hedge funds: Do some mislead their investors? If you use these datasets, please cite the associated paper. 1. Daily Institutional Flow Data: 3329 CRSP permcos for NYSE listed firms. Citation: These data are from: "Caught on tape: Institutional trading, stock returns, and earnings announcements", 2008, Journal of Financial Economics, 92, 66-91, with John Y. Campbell and Allie Schwartz. ~120 MB Excel FileSample begins in 1993, ends in 2000. 2. U.S. oil and gas producers' aggregate default risk data and Microdata on hedging by oil and gas producers. Citation: These data are from: "Limits to arbitrage and hedging: Evidence from commodity markets", 2013, Journal of Financial Economics, 109, 441-465, with Viral Acharya and Lars Lochstoer. ~78 KB Excel FileREADME section and micro data. 3. A measure of aggregate hedge fund illiquidity, which predicts returns on multiple underlying asset classes. Citation: These data are from: "The impact of hedge funds on asset markets", 2015, Review of Asset Pricing Studies, 5, 185-226, with Mathias Kruttli and Andrew Patton. 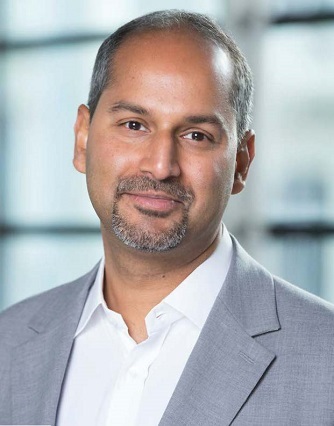 Tarun was Principal Investigator on a transformational initiative which is financed by the Sloan Foundation, and connects Oxford and Harvard to establish a new sub-field of finance and economics, "International Comparative Household Finance." This field of research seeks to explore how household financial markets (such as mortgage, pension, and risky asset markets) are set up around the world, and whether there are international best practices that can be established. The latest event of the initiative is the conference at Harvard Business School on household behaviour in risky asset markets. This is an asset pricing and corporate finance conference, run by LBS, LSE, Oxford and CEPR. Excludes honoraria from non-profit institutions including universities, government agencies, and academic journals of £3,000 or less in a given year, and payments from for-profit firms of £1,000 or less in a given year. Investment Management Consultants' Association: Speaking engagement. EDHEC Risk Institute: Executive teaching. Gerson Lehrman Group: Speaking engagements.